Let me start off by saying I used to be pretty bad when it comes to brushes cleaning, so this weekly tip round up is mostly inspired by me 😉 and a friend who asked how I clean my brushes. Rather than do a lengthy post about brush cleaning (there are many video tutorials on that) I thought I would share some of my favorite tips for cleaning your makeup brushes. 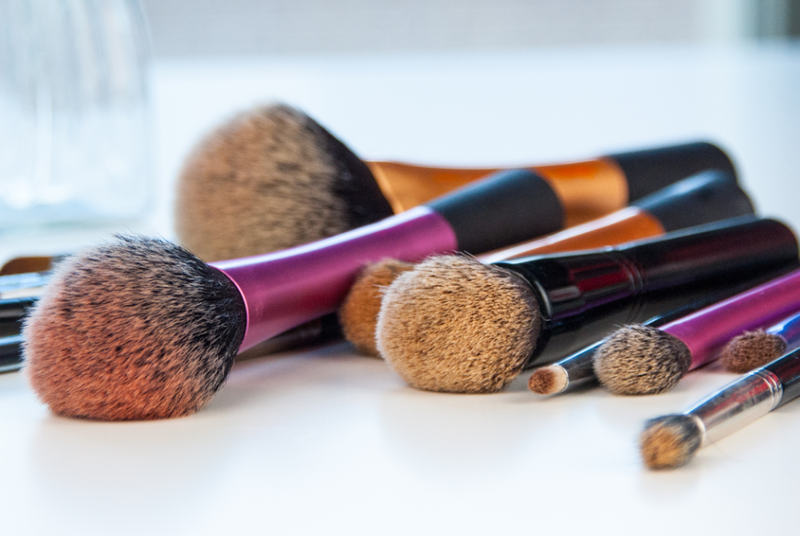 You should clean your brushes at least once a week. Brushes collect product, dead skin cells (disgusting), bacteria (double disgusting), pigment and color and who knows what, so you really should give them clean once a week. For this you can use a makeup brush cleaner, I am partial to the Mac Brush Cleanser, although you can make it on your own as well. Dip into the cleanser, swirl using circular motions on a paper towel (I like to put the paper towel on a towel so the towel absorbs the liquid). Rinse, if you need to, by either running under water or by dipping into a glass of water. Deep clean your brushes at least once a month. I use either the vinegar method or the olive oil and soap method. Either works for me but it takes a bit more time I find to rinse the brushes with the oil and soap method. Do not forget to clean the handles of your brushes! I usually use a cotton pad dipped in rubbing alcohol or some kind of disinfectant solution. When washing brushes, running them under water, dipping them in cleansing solutions or whatever your preferred method, make sure you only dip the bristles in, never get the shaft of the brush wet as that may compromise the glue that holds it together and they will start to shed like there is not tomorrow. Don’t forget to reshape your brushes before you lay them out flat to dry. This will ensure that your brushes retain their shape and don’t become a fluffy, fuzzy mess. Dry flat. Mix two parts water with one part vinegar, dip your brushes in and gently swirl on a paper towel. Don’t worry the vinegar smell will disappear after the brushes are dry, or; Mix a cup of water with half a cup of vinegar and a teaspoon of baby shampoo. Dip, swirl, rinse and dry. Mix two parts of gentle, preferably antibacterial soap with one part of olive oil in a shallow dish. Dip your brush and swirl it around on the dish or on the palm of your hand. Rinse under lukewarm water until the water runs clear.